The art work by Seaton Sluice First School is on display until Sunday 15th April in the Tower House Gallery. 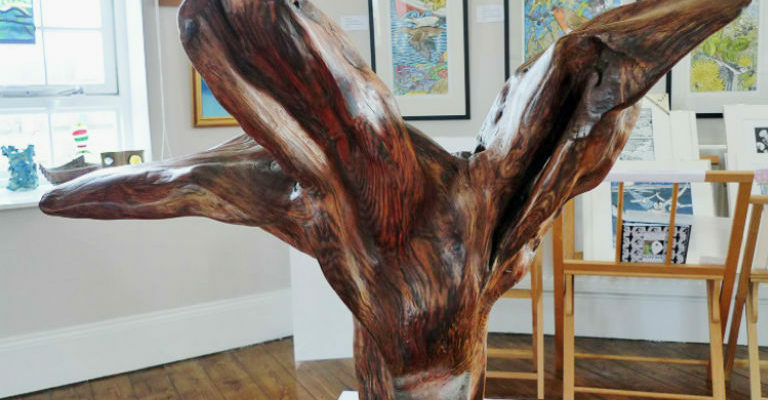 We have a new artist, Steven Laidler who uses the natural flow of wood to do his sculpures, using Irish bog oak and yew wood. Another new artist is Jim Glazzard with his selection of photographic prints. Jim has won awards for his distinctive work. We also have a wide selection of glass, ceramics, prints, originals, textiles, bronze and mosaic work. Why not commission a painting? If you have an idea speak to Rose Di Mascio at the gallery.